The eighth annual offering of this unusual and life-changing field course will take place once again in Denali National Park and the Fairbanks Summer Arts Festival. For the first time, we're offering an optional half-day flight excursion to Coldfoot and Wiseman (above the Arctic Circle). Participants should be prepared to live in rustic conditions and be physically fit enough for strenuous mountain hikes, stream crossings, etc. Participants must also be trained composers (professionals, university faculty members, or students currently enrolled in a university composition program) with experience preparing their own manuscripts and writing chamber music for various instruments. This is not a "class" or "workshop" in that there is no instruction included (although we all learn from each other). Instead, it is a guided adventure trip for composers. Food on travel days and while in Fairbanks. Everything else is included. We provide all the transportation and lodging, as well as all food while in Denali. 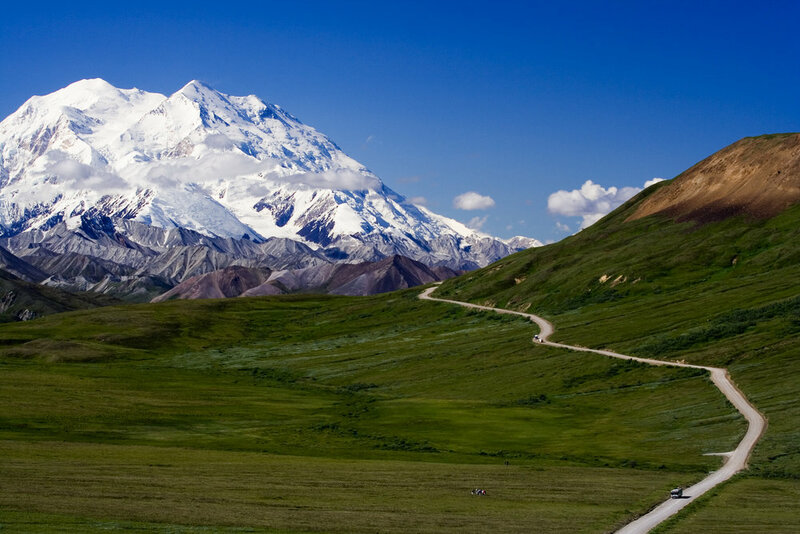 July 9 (Tuesday) - Participants meet at the airport at 9:00 AM and are transported by van down to Denali. After lunch and a group meeting at the Murie Science and Learning Center, we'll head back to our field camp on the Teklanika River. July 10-13 - Four full days of activity in the park. We'll be taking strenuous day hikes through many different terrains and ecosystems from boreal forests to alpine tundra. This part of the trip is "unplugged" (no tech devices other than cameras and audio recorders). July 14 (Sunday) - We'll leave camp early, and have a cafeteria breakfast with one of Denali National Park's administrators, return to Fairbanks, and then drive to Twin Bears Camp where there is electricity and showers. July 15-17 - Three full days of focused composing time at Twin Bears Camp. July 18 (Thursday) - Depart camp early in the morning. Those who wish to may choose to go on a half-day flight-seeing tour to Coldfoot and Wiseman (above the Arctic Circle). Others will have additional free time in Fairbanks. In the afternoon, everyone will check in to the dorms at the University of Alaska. Composers will meet the performers and have first rehearsals in the evening. July 19 (Friday) - Rehearsals all day. July 20-21 - Possible rehearsals and various activities in Fairbanks, including a visit to the Museum of the North to see John Luther Adams' iconic installation "The Place Where You Go to Listen". July 22 (Monday) - Travel back down to Denali. Final rehearsals all afternoon, and then evening premiere performance of all nine new pieces in the auditorium of the Denali Visitors Center. July 23 (Tuesday) - Second performance of composers' pieces in Fairbanks in the evening. July 24 (Wednesday) - Participants depart. Those who wish to extend their stay may do so at their own expense. The Festival's new music ensemble is called Corvus and it is made up of seasoned new music experts, many of whom are from New York City. Part of the fun is that we don't tell each participant which instruments they're writing for (usually trios and quartets) until the first day. More information about Corvus on the ABOUT link above. Sorry! Our performances for this trip will be entirely acoustic. If you wish to be notified about future trips, add your name to our mailing list below.